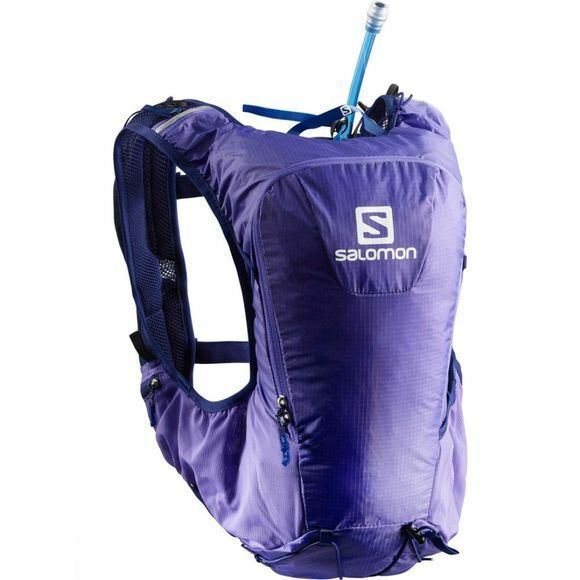 The one-size-fits-all Salomon Skin Pro 10 Set is a light, slim-fitting pack that's versatile enough for hiking, running, or biking. 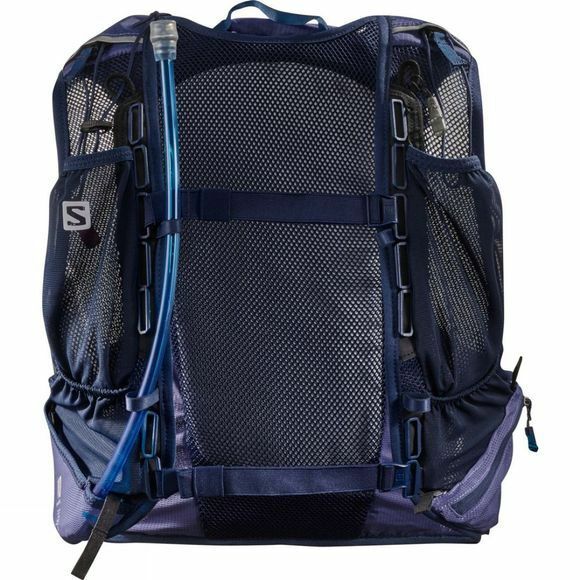 Using stretch SensiFit construction, the pack has a new strap adjustment that improves stability and lets the pack adjust to different sizes. The versatile, stable gear carrying system makes it easy to attach poles, ice axes, a helmet and pad.